With a new season, new name, and a new developer, it aims for the "return of classic King of the Kill gameplay." 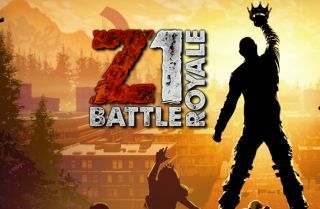 H1Z1's third season arrived today, as well as a rebranding to Z1 Battle Royale, marking the third name change the game has undergone (originally, it was called H1Z1: King of the Kill). More than just the name has changed: a new developer, NantG, has taken the helm and is promising to revitalize the game by 'restoring' a number of its old features like animations, vehicle mechanics, guns and combat, and even the map itself to bring it back to "the glory days." "The first thing you see when you launch a game is the loading screens and the front end user interface," the patch notes read. "It is a massive point of nostalgia for players and we knew we had to get it in for this patch." The clock has also been turned back on many of the weapons' recoil, sway, and bullet speed, and the patch even goes so far as to completely remove the 'points of interest' that were added to the map over the past couple years. It also restores the lighting, textures, trees, and roads from the King of the Kill era. Wow. It's like a remaster, but in reverse. A de-master? It's not just old stuff making a return, there's some new stuff as well, like an in-match mission system, new daily and weekly challenges, and more. Is this what H1Z1—er, Z1BR—needs to pull players back in? Well, it peaked at about 13,000 concurrent players today, which is more than the typical 1,500 or so I've been seeing in the past few days. It'll be interesting to see if they stick around. Here's a look at Z1BR's extensive patch notes and Season 3 skins.